A bomber jacket is identified with the defined neckline, ribbed hem and cuffs, and front zip closure. They come with standard waist length, long line and also with a hood. There are different styles in bomber jackets that you can choose. It can be used over a long polo, tee or sweatshirt and paired with relaxed trousers like chinos or joggers. Sometimes the hoodie can also be used beneath the jacket. A white bomber jacket is a style statement and is perfect for spring. It can be teamed with pants or skirt of neutral color giving it a stylish or trendy look. You can make the bomber stand out by pairing it with a neutral palette. The look can be improved by layering it underneath. 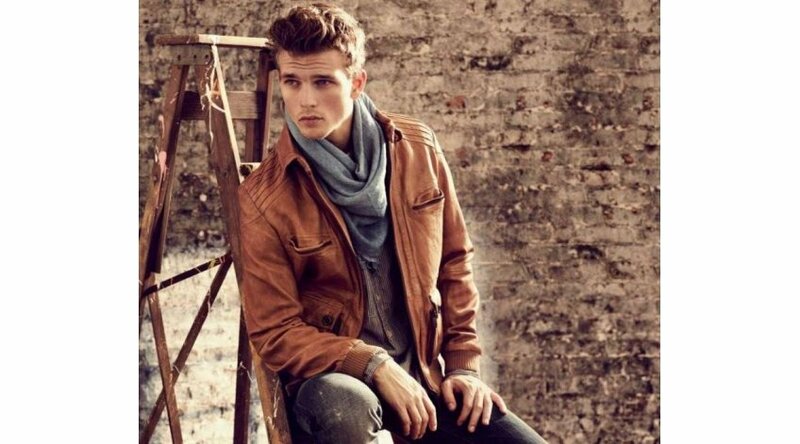 If you want to give a casual look, you can team the jacket with casual trousers or chinos. When the weather gets colder, you can team the bomber with a sweatshirt to keep warm. Leather bomber has an attached hoodie and is made from lambskin leather which is genuine. It has two chest pockets with flap buttons, two side pockets with zippers and two pockets inside. It has ribbed cuffs and hem and polyester lining. This leather bomber with a hoodie is very popular among the younger generation. It has a unique look which is stylish and trendy. The bomber jacket is handmade from full grain leather and is favorably priced. The leather used is known for its quality, softness, and durability. As the fashion industry is expanding, there is more demand for outerwear of leather which can be teamed with any outfit for an exceptional look. If you like to be fashionable in a leather bomber jacket for women, then there is one here that might interest you. It is made from cowhide leather with a quilted lining in the interior. It is eye-catching and fashionable made from high-quality material. The bomber jacket has a zipper in front with snap buttons at the hem to provide a structured fit. It has a stand collar with throat tab. There are two pockets in front of the chest which are zipped and three pockets on the inside. It has double stitching for durability and is available in a wide range of colors such as yellow, red, white, pink, brown, beige, blue, green, and grey. This leather bomber jacket is also available online. When buying a bomber jacket, you should see that it has the fit of a blazer tailored just for you, fitting snugly on the shoulders and slim on the body and sleeves. It should also not be too tight as you will like to layer clothes underneath. If you want a bomber for winter than the fabrics you can choose are leather, wool, and fleece but nylon, suede, and polyester are suitable for any weather. Bombers usually have a zip fastening and for the pilot to be durable choose snap fastening at the collar or double ended zip. Bombers look best when teamed with neutral colors so team a bomber with monochrome color and be trendy.